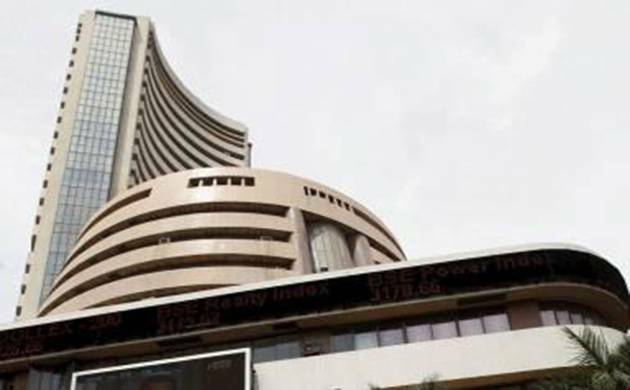 Continuing its downward trend, the benchmark BSE Sensex fell almost 74 points in early trade today as investors engaged in profit-booking in recent gainers amid weak Asian cues. Market sentiment was also influenced by investors treading cautiously ahead of June IIP and retail inflation data for July to be released tomorrow. The 30-share barometer declined 73.70 points, or 0.27 per cent, to 27,701.18, with sectoral indices led by auto, capital goods, metal, healtchare and banking leading the fall. The index had lost about 408 points in the previous two sessions. Also, the NSE Nifty was trading lower by 13.70 points, or 0.16 per cent, at 8,561.60. Equity brokers said that apart from profit-booking in recent gainers, a weak trend in other Asian markets was mainly responsible for losses on the domestic bourses here. Shares of Sun Pharma, SBI, Tata Motors, GAIL, Power Grid, L&T, Coal India, M&M and Asian Paint saw profit-booking, which dragged down the indices. Shanghai Composite was quoting 0.17 per cent lower while Hong Kong’s Hang Seng shed 0.27 per cent in their opening sessions, tracking overnight losses on the US markets. Japanese financial markets are closed today for a national holiday. The Dow Jones Industrial Average ended 0.20 per cent lower in yesterday’s trade.